Pershore Bridge crosses the river Avon to the south of the town, and is now host to foot traffic only, having been replaced by a new road bridge. It has had a rather chequered history. It dates from earlier than 1290, as records state in that year the princely sum of twelve pence was left for it’s repair. This huge sum clearly did not stretch too far, as the bridge was noted as being in a state of disrepair in 1322, and seems to have remained so until 1346, when it was repaired, after a long legal dispute (is there any other sort of legal dispute? ), in 1351. Incredibly, it was noted as again being in disrepair again in 1388. 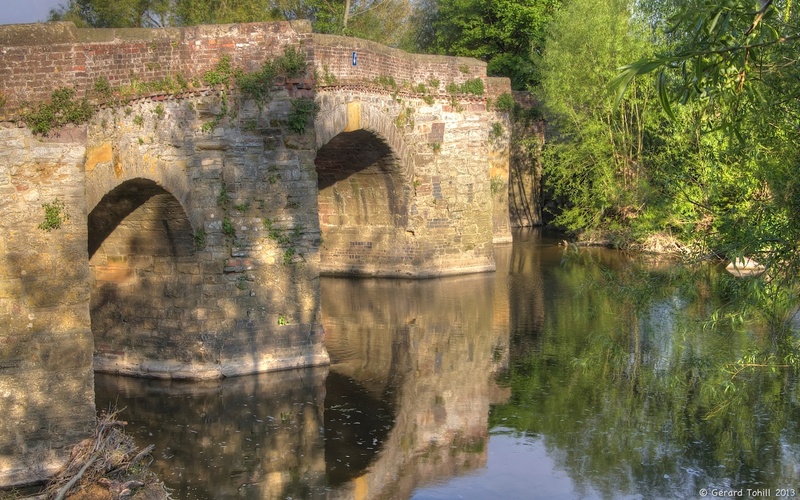 When Pershore Abbey was dismantled after 1538, some of the stones were used to repair the bridge. Charles II, in 1644, destroyed one of the arches to prevent a Parliamentary army from following him. Given the probable state of the bridge, it can’t have taken that much effort. What you see now is what is left after all those repairs and disrepairs, a mixture of building materials from various sources and various dates. Gives it a bit of character.